An AFM Maritime Squadron detachment in Greece has rescued nine persons in bad weather off the island of Lesvos. 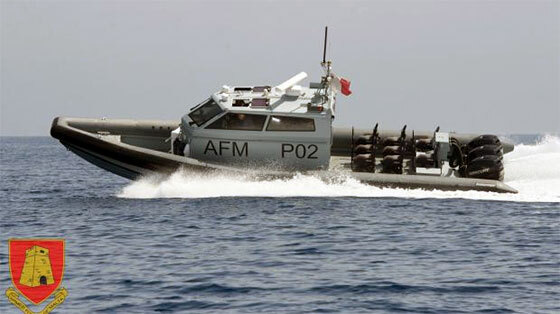 The AFM said that while on routine patrol during the Frontex operation, the crew of the Fast Interceptor Craft was informed that a small vessel was spotted via a Thermo Visual Vehicle in the area. The P02 quickly sighted a dinghy with nine persons on board in bad weather conditions. The eight men and one woman were taken on board the AFM craft and handed over to the Greek authorities. The AFM's Maritime Squadron personnel have been patrolling the waters around Lesvos since the beginning of August as part of the Frontex Joint Operation Poseidon Sea. They have responded to numerous incidents during this period, many of which have resulted in persons being rescued after finding themselves in difficulty while attempting to cross the maritime border between Turkey and Greece. The Maltese Detachment consists of an officer and seven men.